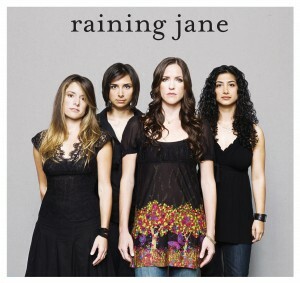 The all-women California band Raining Jane has had a lot of good stuff going on lately, like touring with Sara Bareilles and Willy Porter, and having a song featured on Grey’s Anatomy! Right now they are in the midst of their month-long residency at The Hotel Cafe and working on writing some new songs to add to their already amazing catalog of eclectic folk-rock. I met Mai briefly at Song School last summer. I remember her singing this song, thinking she was great, and hearing the name “Raining Jane” a couple times, but she wasn’t with the band at the time so it didn’t really sink in. Then about a month later I got an email from a guy named Glen who had seen them in concert. The station manager James Moore had suggested me as a good possibility for playing their music on my show. I told Glen I was always at the radio station on Tuesdays. The next week he walked into the station while I was on the air, holding a couple of CD’s, and told me all about how great the the band was during the sets between when I had to announce things. I took the CD’s and while flipping through the CD booklets I recognized Mai and everything clicked into place. I was just bummed I hadn’t figured it out in time to catch their show in Mt. Vernon IA where Glen had seen them a couple weeks previous. Raining Jane is an eclectic rock-folk band based in Los Angeles but on the road more often than not. Forming in 1999 out of the UCLA music community, Raining Jane was able to quit their day jobs in 2004 to pursue music full-time. Since then, they have toured relentlessly, averaging 120 shows per year. Taking on all business and artistic responsibilities (songwriting, booking, web design, driving -and so much more), they have become a notable example of independent success in the music industry, while simultaneously carving their own niche artistically. If you can’t see the video, you may need to come to the blog to watch it. How fun is that? I love the group dynamic and how you can tell they are just having so much fun up there! 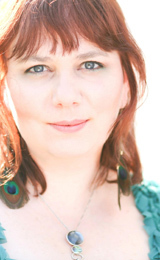 Check out Raining Jane’s website or MySpace for more info and song samples! Tune in to KRUU-LP 100.1 FM or KRUUfm.com on Tuesday morning 6/16 for an interview with (at least one member of) Raining Jane! I’ll play some new arrivals/previews of coming interviews music starts at 9am, and the Raining Jane interview starts at 9:30.